While CBS Corp. didn’t provide any pricing details today on the long-hinted-at standalone Showtime streaming service (a la HBO Now), the company did confirm that it will indeed be giving consumers this new cable-free option at some point in the coming months. The confirmation was made during CBS’s Thursday afternoon quarterly earnings call, where the company touted the success of its CBS All Access streaming service, which provides live online access to the network feed. The $6/month service is now available to 55% of the country, thanks to a growing number of deals made between the network and local affiliates that it does not own. All Access is expected to be available in 75% of the country by year’s end. 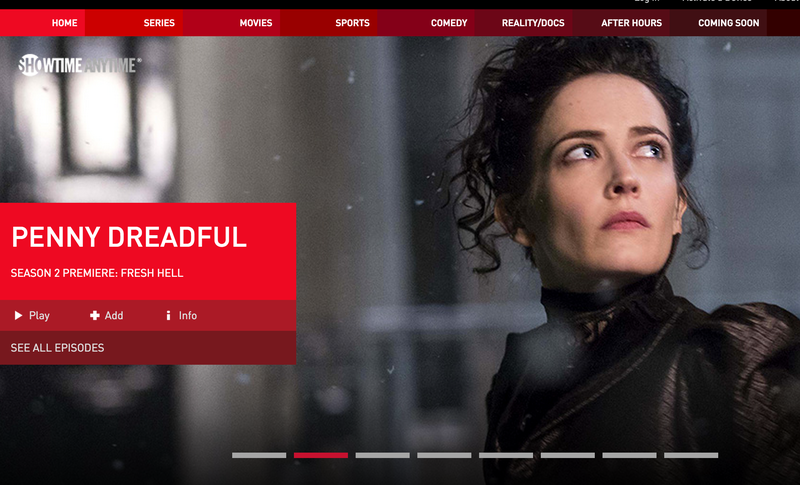 CBS has not yet announced a name for the Showtime service, referring to it instead as Showtime Over-the-Top, nor has it given any indication of a price point. The company did say that it was encouraged by the success of HBO Now, perhaps hinting that a Showtime offering would be priced similarly. In terms of how standalone Showtime will be sold, the company says it will “deal with our existing partners and new partners,” implying that at least some pay-TV companies will be selling directly to their broadband customers. Additionally, CBS spoke well of Verizon’s recently launched “skinny” Custom TV bundles that give subscribers options to only pay for those types of channels that they want to watch. While competitors like Disney are taking issue with this attempt to carve up traditional basic cable channels into niche offerings, CBS says that the skinny bundle model benefits the company financially. The company says that by being a large piece of a smaller bundle, it gets more money from each subscriber.